Here's a photo of some peony tea that I tried recently. 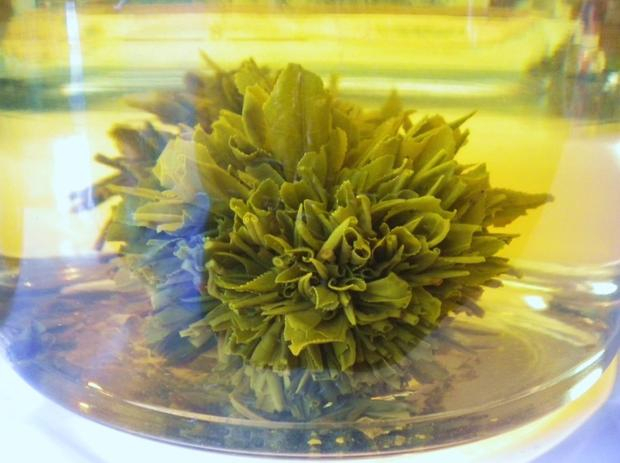 Despite the name, peony tea is not a flower tea but instead a display tea made of green tea leaves tied together to look like a peony flower. The flower "blooms" in hot water. Such a pretty — and tasty — flower.